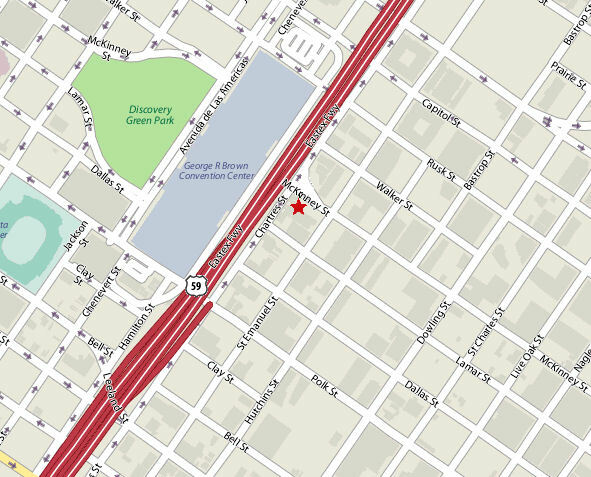 Parking Management is conveniently located, in east downtown Houston at McKinney and St. Emmanuel. Parking available in our lot. Our customers drive, so we are customer service-driven. Please feel free to give us a call or email us directly with questions or concerns. In 2014, the International Parking Institute has established the Accredited Parking Organization (APO) program. It is a rigorous set of industry best practices. Preparing for the certification allowed us to measure the effectiveness of our organization as compared to our industry peers. It gave us the opportunity to identify our strengths and areas for improvement. The process provided information that we could use to make operational decisions that would improve the efficiency of our organization. Most importantly, the APO with Distinction Accreditation recognizes our team for their outstanding work that is done day in and day out. Establishment of the first citizen-led Parking Commission in the state of Texas. Replaced existing meter plant with smart meters that accept coins, bills and credit cards and operate on a WiFi network, contributed to a 70% increase in meter revenue from FY07 – FY09. Named Municipal Parking Organization of the Year for 2007 by the International Parking Institute. Rehabilitated the seven parking lots under the Pierce Elevated; improving safety in the area and generating an additional $200K annual contract parking revenue. Implemented an 80-hour Ambassador Program for the training of Enforcement Officers. Established Community Outreach Program to educate neighborhoods on public safety and parking regulations. Presented to over 70 civic organizations. In partnership with the Department of Public Works and Engineering, added 65 ADA compliant parking spaces in the Central Business District, doubling the number of accessible parking spaces. Updated and organized all parking related ordinances to Chapter 26. To report an out-of-service meter, visit the www.houston311.org website, then click the Traffic, Streets and Drainage icon. In the Parking & Parking Violations area, click the icon to the left of Report a Broken Parking Meter. To report a signage issue, visit the www.houston311.org website, then click the Traffic, Streets and Drainage icon. In the Signs & Signals area, click the icon to the left of Request Maintenance to an Existing Traffic Sign.